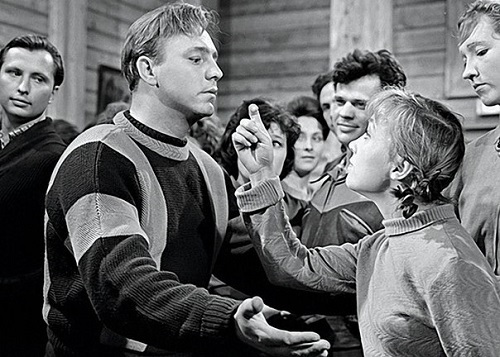 1961 Soviet romantic comedy The Girls directed by Yuri Chulyukin has always been one of the most loved films for the people of the USSR. We are still struck by the amazing acting and story-line. 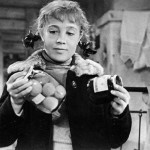 We laugh at a pig-tailed young girl – Tosya, an orphan (actress Nadezhda Rumyantseva), sympathize her friends – roommates, marvel at the power of love and what it can do to a man. Tosya assigned as a cook for the camp, shows she has her own ideas of how a romance should be conducted. In the film are discussed topical issues of the day. They are masterfully written by a director in the characters’ lives. Each of Tosia’s friends has her own complicated situation. Anfisa can not find love and thinks that because of her beauty, men don’t take her seriously. 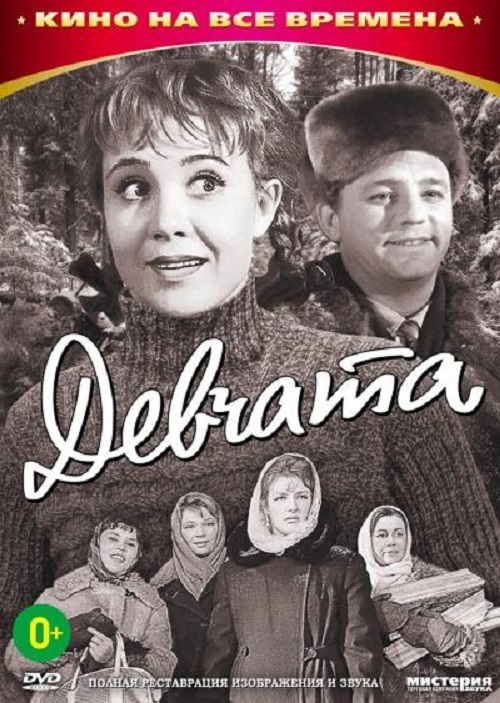 Vera has a difficult situation with her husband, he has changed, and tries to return her. In today’s world, the problem of Vera has become a classic. It is a pure joy to watch Ilya and Tosya showing affection for one another, the way Tosya expresses her feelings. Her naive puppy love makes her eyes brighten, she is dancing in the pajamas and singing, love lives in a young girl’s heart. Tosya and Ilya find each other and talk about their future. In the film, there are minor problems, which can be called “problems” conventionally. Emerging mass of new families, the demographics of the country after the war, so to speak, has dropped significantly. The action takes place at a sawmill, isolated logging camp. 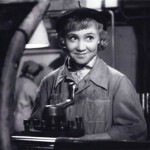 In the film displayed working life of the village, the people of that time. Building, commissions, productions, a flight into space in 1961, various scientific discoveries, development of the country. This makes a simple story so saturated. 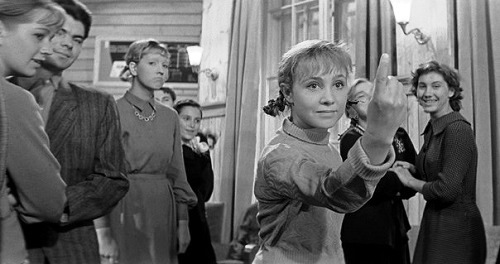 Scenario of the film broke into sayings and phrases. Very good story, not without tears and losses, laughter and ridiculous situations. The film for a few hours makes you forget about your problems and plunge into the distant 1961. 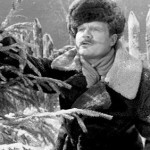 Nikolay Rybnikov liked the role of Ilya so much that in an extremely short period of time he has lost as much as twenty kilos! “The Girls” was released on the eve of Women’s Day – March 7, 1962. At the premiere there was a whole crew, except Inna Makarova (she played Nadya in the movie). It turns out that the actress did not like how the director showed her character, who deserved to find her happiness. 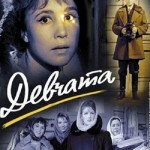 Besides, Inna Makarova did not like the new name of the film and did not come to the premiere. 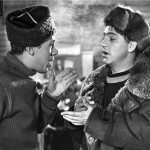 With a budget of 400 thousand rubles, during the first year the film watched 53 million viewers, bringing revenue of 15 million rubles, not including fees to more than 40 countries, where the film was sold. According to the scenario cook Tosya must be 18 years of age, and the foreman Ilya 25. 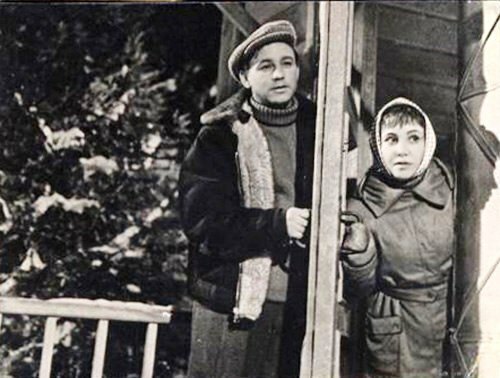 In fact, Nadezhda Rumyantseva and Nikolay Rybnikov were the same age, both born in 1930, so in the film they were 30 years old. 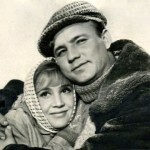 In the “Girls” Rybnikov and Rumyantseva had to play love, but in reality they could not stand each other. 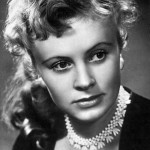 The fact that Rybnikov wanted to be his beloved wife, actress Alla Larionova on the place of Tosya. The actress said that at first on set did not come “just Ilya, but a superstar.” And he was looking at the actress arrogantly. 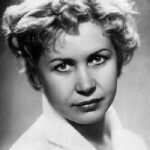 For many Soviet women Rybnikov was a man of their dream. 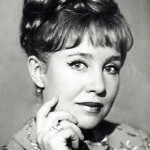 but one-woman-man Rybnikov loved one woman – his wife Alla Larionova. 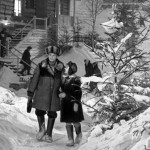 The song “Old Maple” was written by the poet Mikhail Matusovskiy and composer Alexandra Pakhmutova. 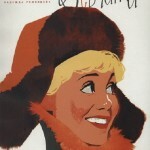 In the film the song was sung by Lyusyena Ovchinnikova and Nikolai Pogodin. Inviting us to walk with you. Why do I feel so light? Because you’re going down the alley. Like to visit us again spring back. Because you just smiled at me. How it shines cloudless and clear.